We’ve had lots of fun over the last few years celebrating Record Store Day and helping to continue the legacy of local record store. And we’re excitied to share the news about a concert edition called “Live Music Night” that’s also helping to support musicians in need. The event is supported by all the big players in the concert industry such as Live Nation-Ticketmaster Ticketfly, Billboard, Ticketweb and several others. And they’re also having a contest to win free gear. 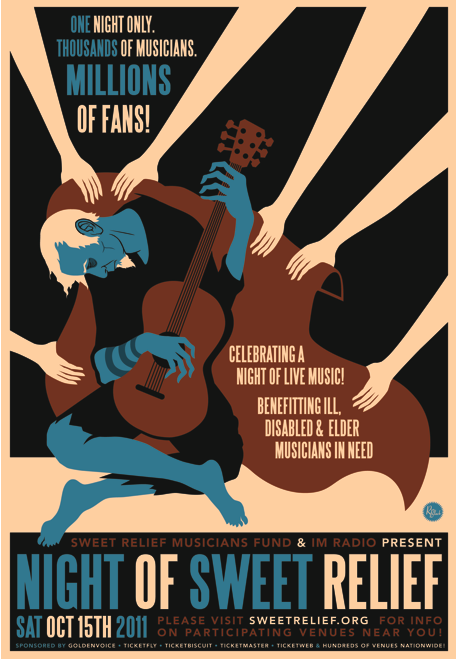 It sounds like a great way to lend a hand to struggling musicians and celebrate live music. And I hope you’ll have the chance to go to one the shows that night and show your support. You can get a full listing of participating venues here. And if you want to get your venue registered for the night, there’s a form available here. Very few things actually. But one thing that it just as sweet as going to the show is sharing stories about how live music has helped fans and artist who are struggling. That said, we invite you to share your concert experiences about Live Music Night and other concert benefit moments, so they can be included in a future episode of Live Fix Radio.